12 of the best books about birds and birding of 2018. 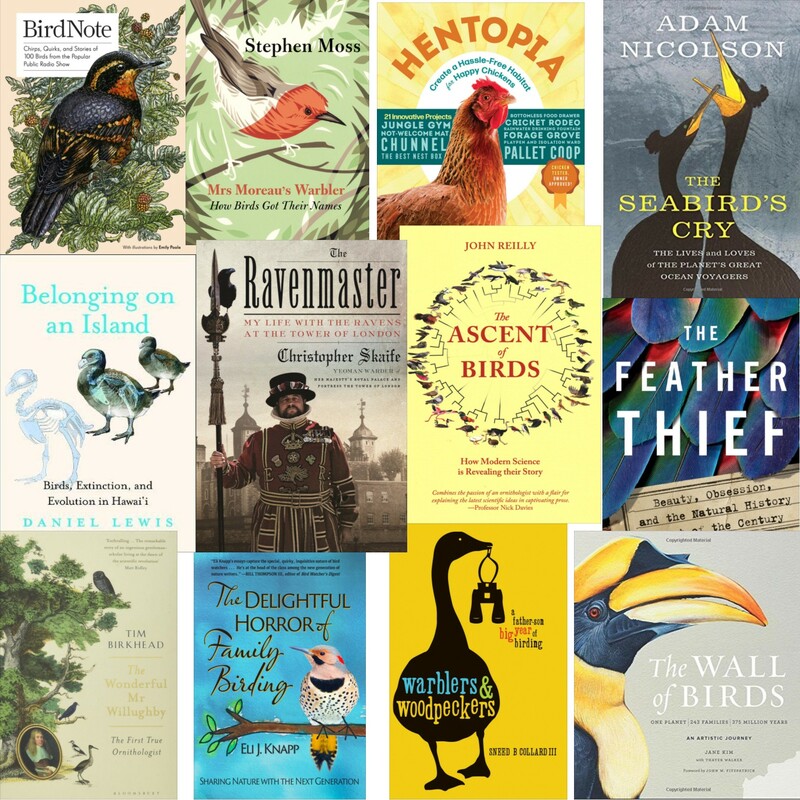 Here we are once again, celebrating some of the best books about birds and birding published this year (note that although I’ve read a lot of excellent bird field guides and even reviewed several this year, I generally don’t choose field guides for this compilation.). I’ve chosen a wide variety of books that will appeal to you, your family and friends and to your co-workers, so prepare to immerse yourself in a collection of beautiful writing, photography and artwork that I think you’ll love. I read this book in one sitting — twice. The writing style is conversational and breezy, and the shared stories are gems. 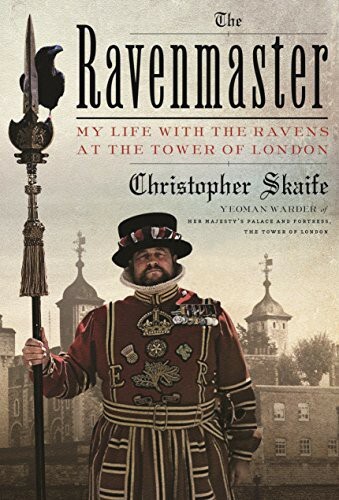 Author Chris Skaife tells the story of how he, a rabble-rousing child, came to be the Ravenmaster at the Tower of London — the most critically important job in all the UK because “if the Tower of London ravens are lost or fly away, the Crown will fall and Britain with it”. Also intertwined throughout this memoir is some of the fascinating history about the Tower of London itself — perhaps the world’s most quintessential castle. But the real stars of the book are its clever, feisty, mischievous ravens. Their seemingly unlimited antics are insightful, interesting, and frequently will make you laugh out loud. 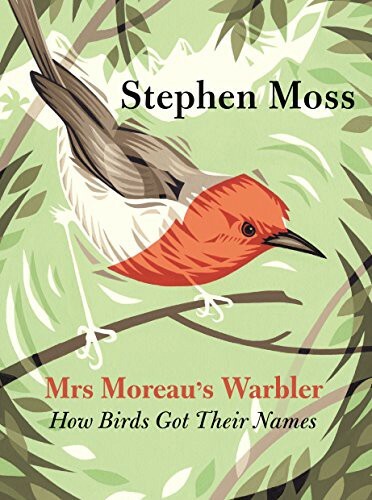 Although light on science, this delightful and beautifully-written book is full of carefully observed anecdotes that will appeal to kids and adults alike, to anglophiles (and Harry Potter fans) as well as those who enjoy reading memoirs, history, fantasy, travel or books about birds. Well, heck, this book will appeal to absolutely everyone, even Mr. Scrooge and Mr. Marley. Part psychological thriller and part travelogue, this gripping book interweaves two stories about obsession. First, there’s the peculiar story of American Edwin Rist, a flautist and avid fly-tier, who broke in to the British Museum of Natural History one night in 2009 and stole hundreds of rare and irreplaceable bird study skins, some of which had been collected by the co-discoverer of the Theory of Evolution, Alfred Russel Wallace, more than 150 years ago. Exotic birds are highly sought-after by fly-tiers who use colorfully patterned feathers in their tied flies and are willing to pay exorbitant prices to get them. 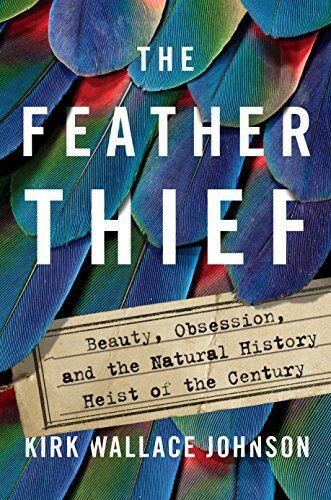 Then there’s the author himself, a fly-fisherman who helped the reconstruction after the Iraq war who became absolutely consumed by this strange heist, and relentlessly pursued the stolen birds around the world for years with the tenacity of a professional investigative journalist. The author also emphasizes the scientific, social and cultural importance of museum collections. This unique must-read is a sad reminder of how wantonly destructive and cruel people can be in their passionate quest to make money. Avoid the Kindle version (few images). This lovely book is an enjoyable, effortless way to learn about birds as well as evolution. Each chapter devotes 5–12 pages to each major avian taxonomic group, where it explores the evolutionary history of modern birds from their ancient origins on Gondwana, over 100 million years ago, to the present day. It discusses major concepts in evolutionary biology that each taxonomic group exemplifies. For example, sexual selection (birds-of-paradise), the “great speciators” (white-eyes), the contentious issue of what constitutes a species (albatrosses), and how flightless birds managed to get to South America, Africa, and Australasia (tinamous) — all presented in beautiful, sparkling prose. I could go on and on, but I won’t spoil the pleasure of discovery for you. The end result is a fascinating book that you can read straight through or simply open to read one chapter and come away with important information about a particular group of birds as well as an evolutionary concept that they best epitomize. Amateur ornithologists, birders and students of evolution or of birds — and even ornithology professors looking for new pedagogical ideas — will especially enjoy this book. This ambitious and remarkable scholarly work deftly combines science and history to present a fascinating account of the Hawaiian Islands during the past one thousand years. 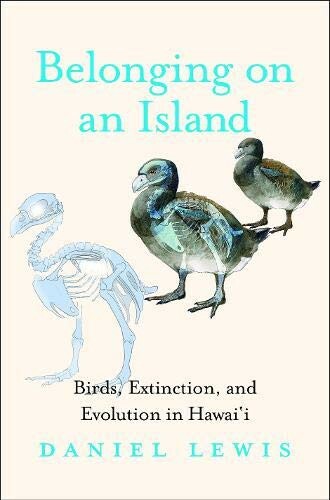 This information is interwoven with chronicles of the natural histories of four extinct, endangered, or recently-arrived birds: the stumbling Moa-Nalo, the Kaua’I ‘O’o, the Palila, and the Japanese white-eye. Also included is the natural history of Hawaii and an historical overview of Hawaiian ornithology, along with an exploration of important topics such as extinction, evolution, survival, invasive species, and conservationists and their work. Most significantly, the author, a Hawaiian native, makes provocative but carefully thought-out arguments about what “belonging” actually means. Although you don’t need to be a specialist to enjoy this book, scientists, birders and those who live on islands or who love them (and who doesn’t?) will especially appreciate this beautifully-written and engaging book. 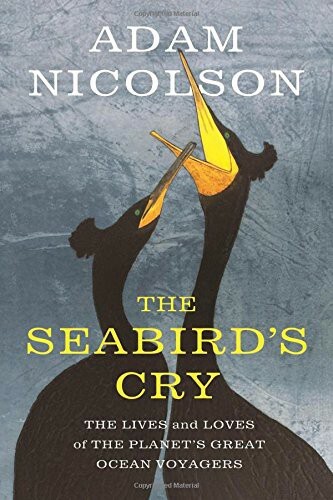 How often do you run across a book about seabird ecology — even a very good one — that you can describe as a page-turner? Well, this is that book. Scientific research, history, poetry and personal observations (the author is a journalist who owns and lives on a seabird island in the seaway between the Hebrides and the Scottish mainland) are brilliantly combined with superb writing to tell the extraordinary stories of puffins, albatrosses, kittiwakes, shearwaters, fulmars, gulls, guillemots, gannets, and razorbills — ten seabird species in all. These vignettes include maps, photographs, and basic natural history information on hunting, reproductive habits, and social bonding, as well as some history of human interactions or beliefs about these birds. Also included are effects of climate change on seabirds and the relatively new discovery that plastic releases a gas that smells like krill, thereby prompting seabirds to mistake plastic for a meal. The author’s writing is engaging and intelligent, with scientific information clearly presented, although sometimes it becomes a bit sentimental. Birders, scientists, and those who live on the coast or who spend time on the sea will especially enjoy this moving and thought-provoking book. 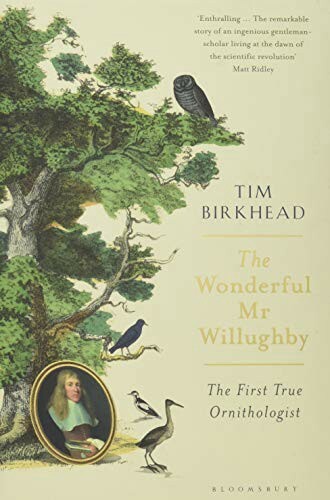 Written by ornithologist Tim Birkhead, this meticulously researched portrait of English naturalist, Francis Willughby (1635–1672) was five years in the making. Willughby was a pioneer in the scientific study of birds. Throughout his short life, he was often ill and eventually died young from what may have been malaria. Thus, his notebooks were lost, so his life and contributions to ornithology remained enigmatic, and were overshadowed by the accomplishments of his much longer-lived tutor, scientific companion and close friend, John Ray, a prominent naturalist who, amongst his many accomplishments, devised a new classification system that revolutionised the study of plants. But this biography seeks to ensure that Willughby receives the credit that is due him. Along the way, the reader learns how higher education worked at Oxbridge during the critical early days of modern ornithology and the biological sciences, and also gains an appreciation for biological details that were missed by those living then but are quite obvious to us now. 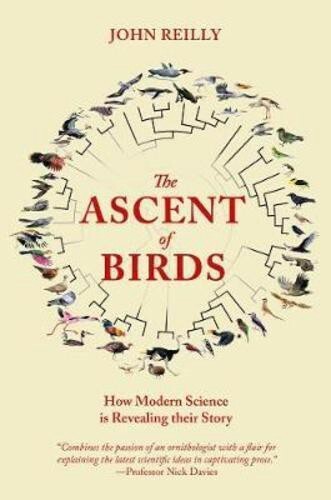 Anyone interested in ornithology or the history of science will find this engaging and lucid history to be illuminating and well worth reading. How did birds get their common English names? This fun book explores the overlap between ornithology, linguistics and history. Beginning with the origin of the first English-language names for birds, the author discusses the evolution of language in Britain and recognizes “goose” as the oldest (Proto-Indo-European) bird name still in widespread use. Other names have a more recent origin. For example, some bird species, such as Bewick’s swan, are named for people. Others are named for a sound that the bird makes, whilst other names are derived from plumage color or pattern or habits or habitat, and yet other names honor historical events, ornithological rivalries, or romantic gestures. The author concedes that the origin of some bird names is lost in the mists of time so we can only guess at their meaning, such widely used names like swan, sparrow, starling and goose. Basically, everyone will learn something new from this book. I, for example, was especially interested to finally learn why crows are not known as blackbirds — a thing I’ve pondered (and googled). One of the most enviable things that bird watchers do is travel. Some travel to local parks and wetlands (or sewage treatment plants!) whilst others travel around the world. But regardless of where they go, they all share the same goal: to find some birds to watch. But birding is so much more than just chasing a few elusive avians: For some, it’s a day-hike in nature, for others, it’s meeting new people or introducing young people to nature and learning new things about the world we live in, and, of course, for many, it’s new experiences and new stories to tell. 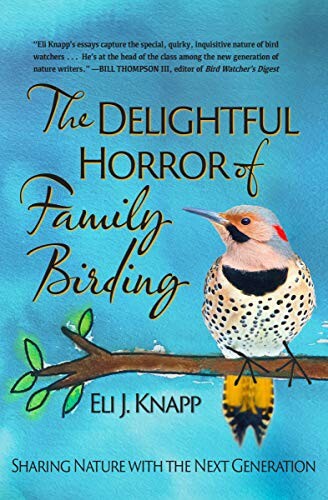 This quietly passionate book is a collection of carefully observed, often touching, and sometimes just plain funny essays about birding adventures experienced by author Eli Knapp and his students (or his own children.) “Life is at its richest when we go outdoors together and keep our eyes open,” author Professor Knapp writes. You don’t have to be a birder to love this entertaining and beautifully-written book — although you may find yourself purchasing a field guide and a pair of binoculars after you’ve finished it! 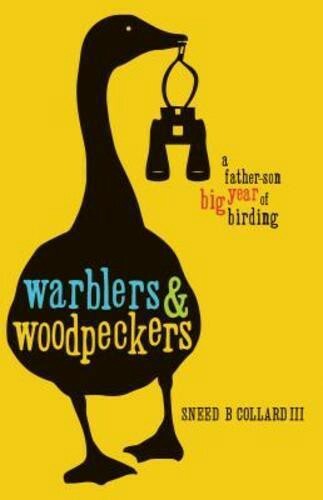 This cheerful book tells the heartwarming tale of a father and his 13-year-old son, who both love birds. They decided to devote serious time to improving their birding skills, which was their motivation for a Big Year, a quest to see as many different species of birds as possible in one year. This journey took the duo to many of the great birding hotspots in the United States — and even to the Galapagos Islands — to observe birds in the wild and to add them to their Big Year list. But there’s more to this book than amusing anecdotes about chasing birds and exploring various parts of the country. The author also discusses at some length the difficulty of maintaining a father-son bond in adolescence, and what it’s like to be a children’s book author. Part travelogue and part philosophical observations of family, this endearing book will appeal to birders, nature lovers, and armchair travellers. This small book is short, quirky, and loaded with interesting bird facts and beautiful artworks. 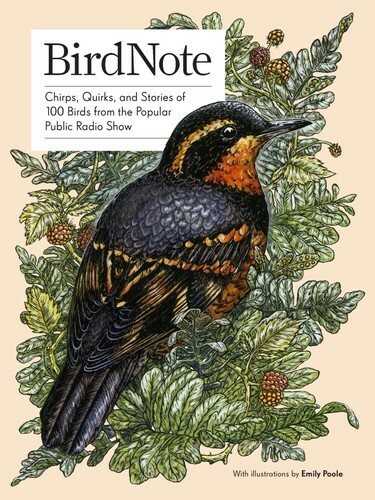 Each vignette is only a few paragraphs long and has been aired at some point during the past 13 years as a 2-minute BirdNote audio program and podcast that can be heard every morning on nearly 150 National Public Radio affiliates in the United States, Canada and the Philippines. This charming book features some of its best sketches of 100 different birds, mostly North American species, although some Eurasian species are also included. From wrens that nest in cactuses to gulls that have a strange red dot on their bills, these readable bird stories are an enchanting window into the winged world. Mostly intended for beginning birders and young readers (and immigrants learning to speak and read English! ), this book would make an unusual “Secret Santa” gift this holiday season. Do you want to keep a few chickens for companionship (and get a few fresh eggs) but worry that you’ve not got enough time to keep them safe or care for them properly? (I fit into these categories.) If so, this is the book for you. Although they keep a flock of backyard chickens, the author, Frank Hyman, and his wife still sleep in when they want, travel, and generally enjoy their freedom. This down-to-earth guide tells you how they do it. 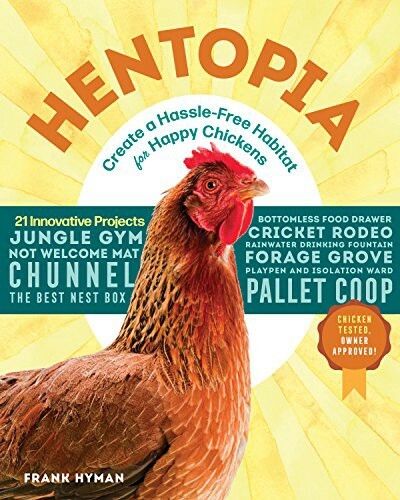 The book provides clear, step-by-step instructions — along with straightforward photographs and illustrations — for 21 affordable DIY projects, including how to build a predator-proof pen and roost; a “Chunnel” chicken run and a sturdy but inexpensive coop made from wooden pallets; how to set up a good laying box; how to construct a “vending machine” automatic feeder, and even what to what to do with the poop. Hyman also includes a section on which tools you need to build each of these projects. These projects require minimal previous carpentry experience and they mostly use salvaged or found materials. Highly recommended for all backyard chicken keepers, whether they are wannabes, beginners or have been at it for a few years and want to improve their game. Just as artist Michelangelo painted a mural of religious scenes on the walls and ceiling of the Sistine Chapel at the beginning of the sixteenth century, scientific illustrator Jane Kim recently painted an interactive mural of birdson the walls of that avian cathedral, the Cornell Lab of Ornithology. This 500-square-foot painting captures the story of the remarkable 375-million-year evolution of birds and the forces that created their dazzling variety of forms and colors. But this work of art took 4 years to complete and so it has its own unique story, too. In this engaging book, Ms. Kim shares her personal story of how she became a scientific illustrator and how she came to do this particular work of art. 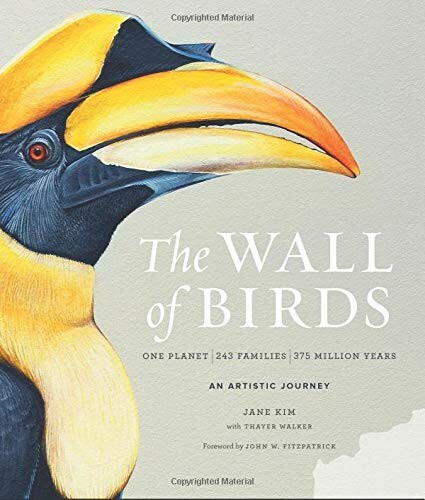 Not only is this a beautifully-written and elegant book that is crammed full of breathtakingly detailed images, but it’s very educational to read Ms. Kim’s comments about her bird portraits — why she depicted a bird in a particular position and even the exact colors she used to paint it. This book is filled with yet more valuable lessons in “how to see” what’s in front of you that will be treasured by artists and bird lovers alike. For more faboo bird books, please refer to my previous annual mini-reviews of The 12 Best Books About Birds And Birding In 2016 and 2017. Many thanks to the publicity agents who sent review copies of their beautiful books far off the beaten track to snowy Norway. Originally published at Forbes on 19 December 2018. Evolutionary ecologist & ornithologist, science journalist. Writes about science for Forbes. Formerly: The Guardian. Always: Ravenclaw. Will write for food.